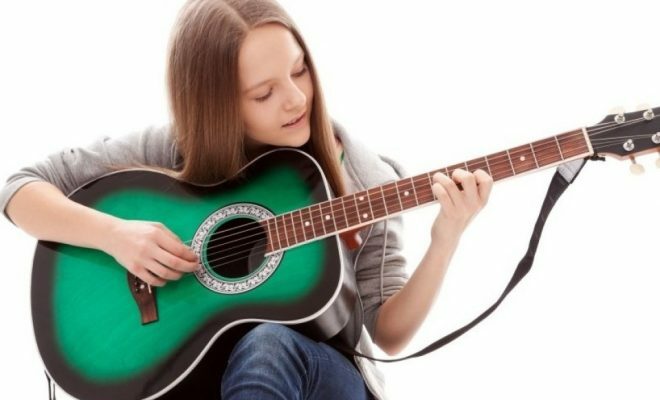 Another synonym that stands for this instrument is folk guitar. 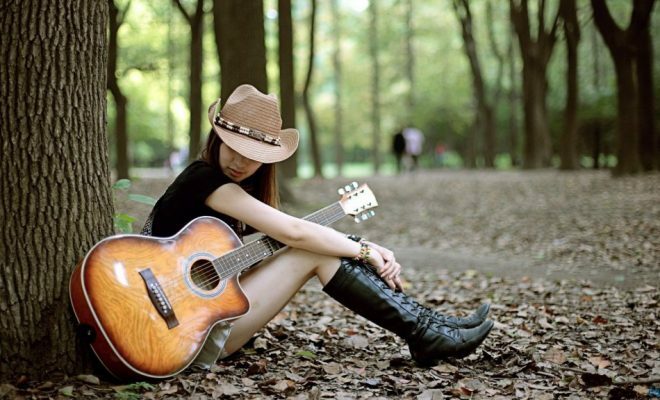 We mean a guitar with bronze or metal cords, suitable for playing light music, rock, folk, and other musical genres. You play both plectrum and fingerstyle. 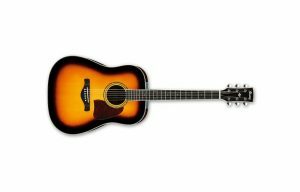 The most prestigious brands are Martin, Gibson, Taylor, but they are also produced by Ibanez, Yamaha, Cort, etc. 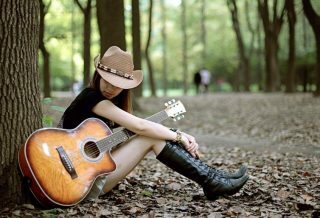 A synonym could be “Spanish guitar”. 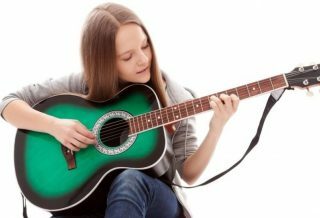 We mean a guitar with nylon strings, on average smaller than a folk guitar, and is mainly used to play classical music, flamenco, or popular music (eg Neapolitan music, songwriting, etc.). You play mostly without plectrum, and some Classical guitarists use fake nails. Some emblazoned brands are Ramirez, Alhambra, Yamaha. 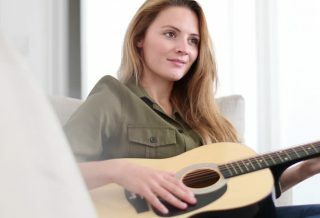 We mean a guitar with metal strings, and that it is equipped with pickups (magnets that act as a microphone) that amplify the sound through an amplifier. 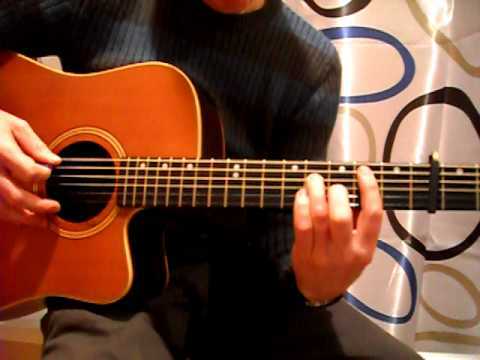 It is mainly played in plectrum, more rarely with the fingers. 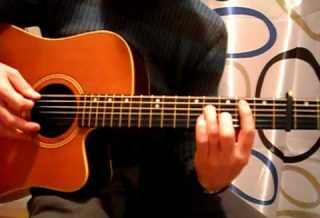 A further division is between solid body electric guitars (= the sound box is not empty, but solid wood) and semi-acoustic, or archtop (= there is a real sound box, often with “f” holes or “s”). Both semi-acoustic and solid bodies are widely used in all musical genres, from rock to blues to jazz. The main brands are Fender, Gibosn, Rickenbacker, Gretsch, Ibanez, PRS, etc. We mean a classical or acoustic guitar (see above). that simply has an internal amplification system, which allows to amplify the sound in an audio system, or in a guitar amplifier. 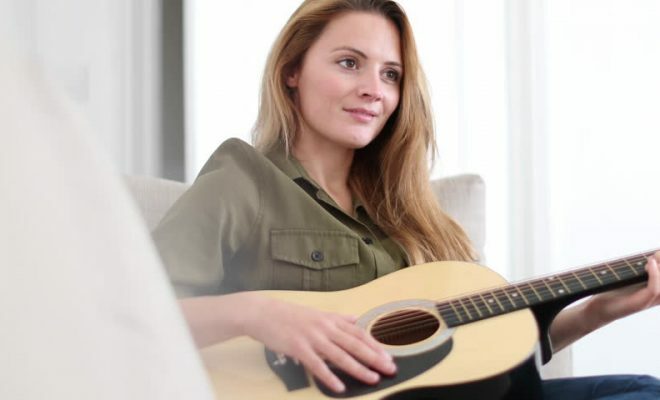 WARNING: when we talk about an electrified guitar we mean an acoustic or classical guitar, when we talk about semi-acoustic guitar we mean an electric guitar instead!